The water vole is the largest British vole. Their body length is around 20cm plus a tail length of 13cm. They have a blunt nose; dark chestnut-brown to black fur; short rounded ears and a hair-covered tail. Water voles are often mistaken for brown rats, especially when swimming, but brown rats have a pointed muzzle, larger eyes, more obvious ears and an almost completely hairless tail. Recent evidence indicates that water voles have undergone a long term decline in Britain, disappearing from 94% of their former sites. Habitat loss and predation by the introduced American mink have had severe impacts on water vole populations, causing population fragmentation and local extinctions. Water voles and their resting places are protected under national legislation. If you are carrying out any work that could harm them or their habitats you should obtain advice from a suitably experienced ecologist. Water voles can occur along rivers, streams, canals, ditches and in ponds. They have a preference for, but are not limited to, slow flowing or still waters with little fluctuation in water levels. They like to create their burrows in steep earth riverbanks and dig out their nesting chambers above the water level. Water voles prefer banks with tall herbaceous vegetation (providing food and cover from predators) with plentiful marginal vegetation at the water’s edge. They are predominantly herbivores, with grasses, sedges and reeds forming the majority of their diet. Their activity is largely confined to a few metres of the water’s edge, but the length of territory may range from 30m to 300m. Water voles usually have three or four litters a year and young are born between April and September. As water voles are rarely seen, surveys should be based on the presence of characteristic signs, including burrows, droppings/latrines, footprints, runs/pathways and feeding remains. 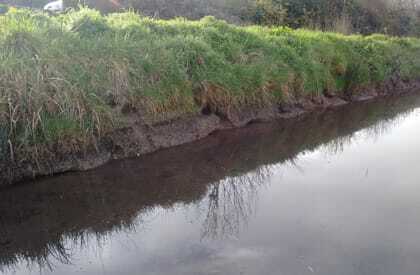 Site specific searches, by a suitably experienced ecologist, should involve a close examination of waterways up to two metres from the water’s edge, following methodology within the Water Vole Mitigation Handbook. Although they do not hibernate, water voles are not very active above ground during the winter, so surveys should be carried out between April and September to ensure the survey does not show a false negative result. Because water vole populations fluctuate rapidly, two surveys, spaced at least two months apart, may be required. Richard Green Ecology are expert in water vole ecology, having worked with water voles across England and Wales for over 25 years, on water vole habitat improvement schemes, project managing research on water vole translocation, producing guidance for the Environment Agency and Devon County Council, highways and development schemes, including design and implementation of mitigation measures and monitoring. 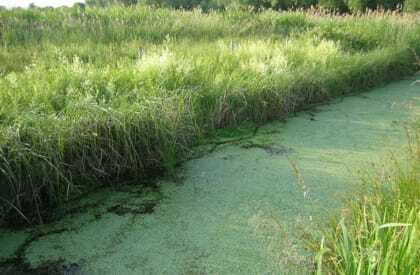 Richard Green is registered under the Water Vole Displacement Class Licence, which allows displacement of water voles in England for work up to 50 metres in length along a watercourse between 15th February and 15th April. We are expert in water vole ecology and survey. We are registered under the Water Vole Displacement Class Licence. We have extensive experience in ecological impact assessment for water vole. 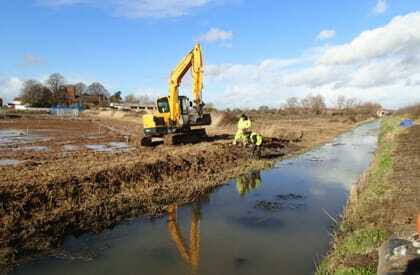 We can design and undertake mitigation, including watching briefs, translocation and habitat creation and management. Highly recommend Richard Green Ecology Ltd’s 2 day QGIS Course. Having no previous GIS experience, I came away able to map like an old hand. Fantastic! Thank you very much for forwarding on the survey so quickly, it was very efficient of you. Thanks for a first class service. As a busy RIBA Chartered Practice we need the support of local professionals who can deliver their work accurately and in a timely fashion. Richard Green Ecology is our preferred ecological consultancy. I’ve worked with Richard for several years and, as well as being an acknowledged bat expert, he is an ecologist with a wide range of experience. We have used Richard Green Ecology to carry out wildlife surveys and offer advice on a number different highway schemes. Richard Green Ecology have acted for us on a number of schemes and have provided us with prompt, clear and useful advice on ecological issues. We have always found Richard Green to be very quick to respond to queries, coming to site visits and producing reports after a site visit. As an independent ecological consultancy, we provide innovative expert services promptly and at reasonable rates. We are based in the Southwest of England but offer nationwide services. Services include: bat surveys and other protected species surveys; Phase I and NVC habitat surveys; ecological impact assessments; and European protected species licence applications. Copyright ©2018 Richard Green Ecology Ltd - All Rights Reserved. Registered in England no. 07287436.